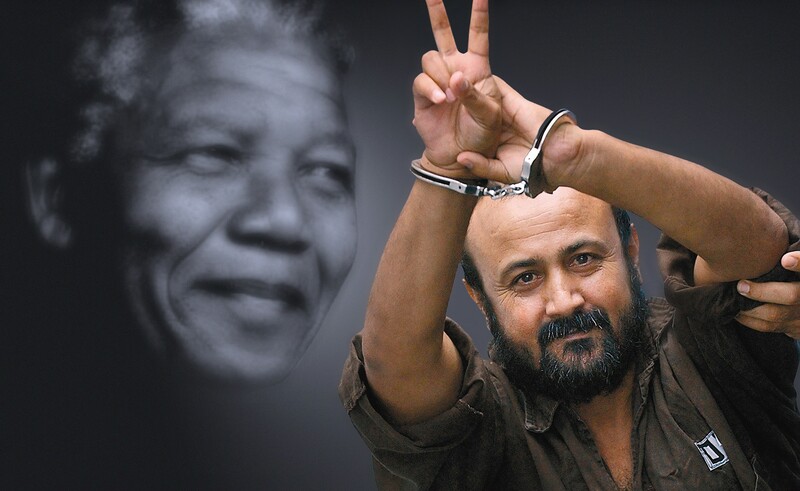 Marwan Barghouti is best known as the Palestinian Nelson Mandela. He is being held as a political prisoner of Israel along with thousands others. He wrote this op-ed for the New York Times, launching the mass hunger strike inside the jails. However, the NYT only published it in the international edition and omitted it from the US edition. The Times then added an editorial note to the article following Israeli protest. We are posting the original article here especially for readers who didn’t have access to it. HADARIM PRISON, Israel — Having spent the last 15 years in an Israeli prison, I have been both a witness to and a victim of Israel’s illegal system of mass arbitrary arrests and ill-treatment of Palestinian prisoners. After exhausting all other options, I decided there was no choice but to resist these abuses by going on a hunger strike. Israel has built nearly all of its prisons inside Israel rather than in the occupied territory. In doing so, it has unlawfully and forcibly transferred Palestinian civilians into captivity, and has used this situation to restrict family visits and to inflict suffering on prisoners through long transports under cruel conditions. It turned basic rights that should be guaranteed under international law — including some painfully secured through previous hunger strikes — into privileges its prison service decides to grant us or deprive us of. Over the past five decades, according to the human rights group Addameer, more than 800,000 Palestinians have been imprisoned or detained by Israel — equivalent to about 40 percent of the Palestinian territory’s male population. Today, about 6,500 are still imprisoned, among them some who have the dismal distinction of holding world records for the longest periods in detention of political prisoners. There is hardly a single family in Palestine that has not endured the suffering caused by the imprisonment of one or several of its members. The Israeli authorities and its prison service have turned basic rights that should be guaranteed under international law — including those painfully secured through previous hunger strikes — into privileges they decide to grant us or deprive us of. Israel has tried to brand us all as terrorists to legitimize its violations, including mass arbitrary arrests, torture, punitive measures and severe restrictions. As part of Israel’s effort to undermine the Palestinian struggle for freedom, an Israeli court sentenced me to five life sentences and 40 years in prison in a political show trial that was denounced by international observers.